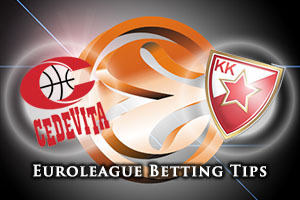 The hosts play their final Euroleague game of the season in this match and while they are at the foot of the table at the moment, they’ll be desperate for a win that could see them come away from the foot of Group E. The side from Belgrade already have their playoff spot confirmed so it remains to be seen how focused they are for this game. 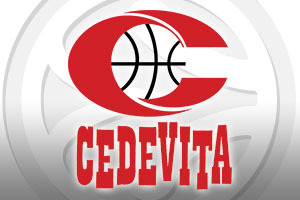 It has been a long and tough campaign for Cedevita but they’ll be looking to end on a high and give their fans something to smile about. There is also the fact that the lack of pressure involved with this game may help both teams to play out an enjoyable game for the fans. Quincy Miller is a player that has enjoyed himself against the Belgrade side this season and he’ll be looking to end his Euroleague Top 16 campaign on a high. It isn’t going to be the best night for the hosts but there is a chance to give their fans something to enjoy while perhaps building a platform for next season. With the away team confirmed to finish in fourth spot, this isn’t a massive game for the Belgrade side but they do have the beating of Cedevita. In addition to the earlier Top 16 counter, the Belgrade team defeated Cedevita 2-0 in the Adriatic semi-finals so they know what it takes. The big issue is how their squad will be rotated for this game and whether the attitude is going to be of the required level. No one would blame Crvena for taking things easier, they have nothing to really gain or lose from this match and will want to avoid injuries, but sometimes that is the sort of approach that causes problems. Things are looking close for this game but taking Cedevita Zagreb at +2, which you can find at odds of 1.90, may not be a bad bet. If you are looking for the Over/Under market, look to go OVER 157.5 which you can find at odds of 1.90. Bet Now!